Figuring Macronutrients The EASY Way! Why do some love making figuring out macro nutrients so complex? It does not need to be. In fact, a solid balanced macro nutrient profile is VERY easy to figure out. 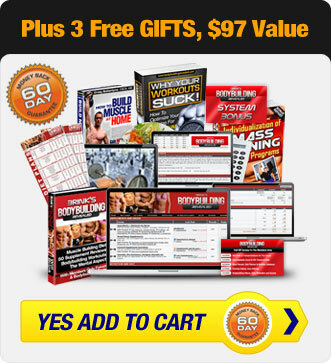 Use this system to figure out your macros, be it for gaining weight or losing it, and stop worrying about it!!!! Hi Folks! Will Brink here and today I’m going to cover a big topic which is macros and calories. I get a lot of questions about that, and I’m going to make it very simple, very simple formula that you can follow that will work for the vast majority of people the vast majority of the time, and that’s what matters. Are there other ways to, you know, tweak diets? Absolutely! Are there maybe more advanced, and I am not going to say more effective, note, more advanced ways of setting up diets? Yes, there are, but most people get I’d say confused. I get that question a lot that is you know, “Should I follow this diet or that diet? This macro?” and what happens is you end up with paralysis by analysis, and you get, you know, we are going to give you a very simple formula and a very simple way of setting up macros that I promise you will work for most of the people most of the time. So the way you are going to do this is the first thing you want to do is figure out how many calories you need for your particular goal? Is it weight loss? Is it weight maintenance? Is it weight gain? And you can find simple formulas for those, or quasi-simple formulas such as Harris-Benedict formulas which are online. They also are in my e-books. If you find a Harris-Benedict formula online, there are also some exercise multipliers you can add to that which is the amount of exercise you get would be added to that to figure out your total calories for what you’re trying to do. There are also even simpler formulas that are something like 14 to 16 calories per pound of body weight for X, or more if you are trying to gain weight, or less if you are trying to lose weight, and you can find those online, and again I cover those in depth in my Bodybuilding Revealed and my Fat Loss Revealed products and go into a lot greater depth. So first figure out your total calories you need for your goals. Now, this of course is a baseline for everybody. It’s a starting point. You may need to tweak a little up and down for your specific goal, but at least this will give you a starting point of number of calories you need. After that, basically set protein at one gram per pound of body weight, ok. Now, getting into a great deal of debate about this, whether that’s more than you require for, you know, for growing muscle, protein synthesis rates, protein degradations, and so and so on, it is actually irrelevant. It’s more than enough protein for those particular goals, but you gotta eat something. Protein has other uses besides those roles in physiology. It has other benefits. It’s not going to do you any harm at those amounts, so it’s really a moot issue to get all wrapped again in you know, 67 grams, 200 grams, 1.5, it doesn’t matter. About a gram per pound of body weight is easy to follow. It is more than sufficient as far as the other stuff we discussed, and it’s a calorie source, so don’t worry about it. Part two of this. Set your fat calories at 30% of your total calories; 30% again is well supported by the data as far as health. It also seems to be about the optimal amount for testosterone levels. Above that they didn’t see any additional effects. Below 30% there were drops in testosterone, and again, the data as far as health and that type of thing with other studies seem to support about 30%, seems to be just right. Again, there’s a lot of different diets that call for a lot of different things, and I am trying to make it simple, and I promise you this will work for most of the people most of the time. So, figure 30% of your calories, and what you want to do is follow an old rule that I made up called the 1/3rd rule, and of your fat calories you want 1/3rd to come from monounsaturated, that’s like olive oil, avocados, 1/3rd you want to come from polyunsaturates, mainly fish oil, flax, and the final 1/3rd you want to come from saturated fats naturally occurring in, you know, red meat and that type of thing. No, saturated fat is not bad for you in limited amounts, and again, studies show is required for testosterone production, and at that amount it is not going to do you any harm. The rest of your calories at this point you’ve got your one pound per, your one gram per pound of body weight. Protein, sorry, 30% basically from fat and the rest is carbs, and that’s it, You’ve got your whole formula. Now, obviously your ratios are going to change depending on your goals because trying to gain weight, carbs are going to make a higher percent of your macros. If you’re trying to lose weight, it’s going to make a lower percent of your macros, but I basically see carbs as the variable nutrient in that equations. The other two you can pretty much fix. Carbs is basically the variable nutrient macro in that your carbs are going to go up and down depending on, again, the total calories you require, and that’s it. I promise you as simple as that is, that will work for most people most of the time. If you want again, deeper information, a lot deeper information, consider a couple of my e-books. There’s a lot of articles on my site which go into a lot greater depth, but people ask for a good, simple, easy way to figure this out, and this is a simple way to do that will be effective for most of the people most of the time. So, I hope that helps. If you like this info, please hit the, you know, the “likes”, the tweets, share the love, and I will see you all on the BrinkZone.